Love the paint color Abysse by Behr? Here is everything that you need to know about it! Hey y’all! Today I am excited to be back with my monthly blog series for 2019 – the paint color of the month! Each month I will share a paint color that is currently inspiring me and help you decide how you could use it in your home. The color of the month this month is Abysse by Behr! PPU12-1 is the color code for this paint color. 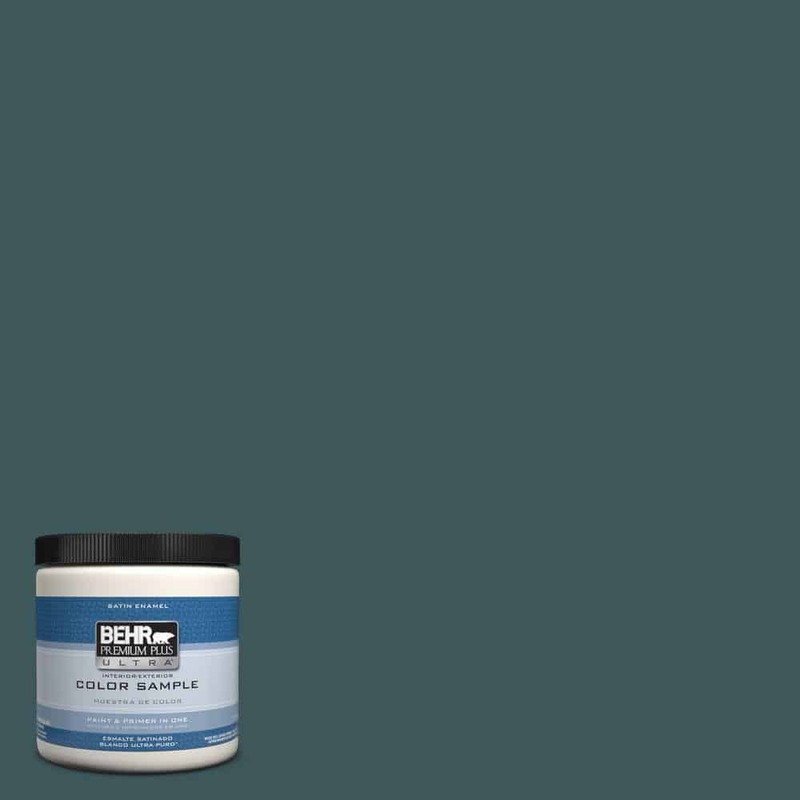 All images in this post are from the Behr “preview this color in a room” tool. March means the beginning of spring. Things are coming to life and I am thinking green, green, green. But, I am not feeling a grassy or leafy green. I love that Abysse has moody grey undertones that keep it feeling soft despite it’s rich hue. 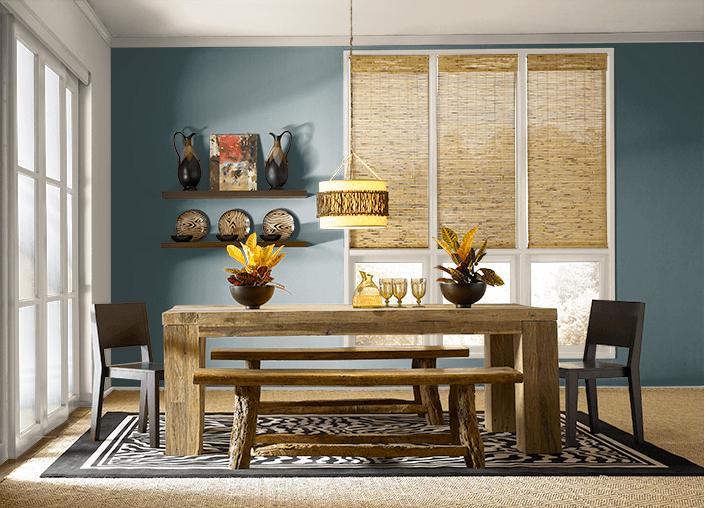 It also has blue undertones – verging on a dark teal- that makes it feel very welcoming. This color makes me think of the ocean in the spring time. I love how it looks and what a bold statement it would make – without feeling overwhelming. Abysse is a beautiful color, but it could become overwhelming on all of the walls in a small room. I’d focus on using it in smaller ways for a less overwhelming impact. It would be best, in my opinion, in large rooms or rooms with lots of natural light. It could start feeling very dark very quickly in a small windowless room. Abysse pairs very well with light neutrals. Tans, greys, and whites are your best bet for matching! Would you use Abysse paint color in your home?